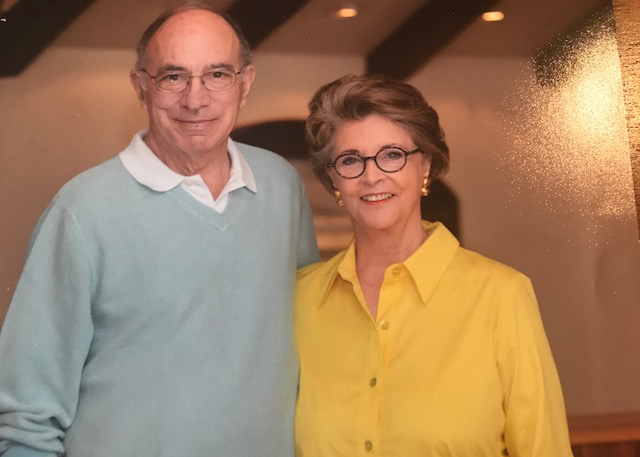 The Episcopal School of Dallas is honored to announce a campaign contribution from grandparents Linda and John McFarland, current parents Reggie and John McFarland '91, and David McFarland '94. The McFarland Family gift helps provide the capital necessary to build the new Lower School on the Merrell Road Campus. Linda and John McFarland are the lead volunteers for the Grandparent Constituency Team and have served ESD in many roles over the years; Linda served as a member of the ESD Board of Directors, while John served years ago on the St. Michael's School Board of Directors. They believe that ESD's unwavering commitment to its Episcopal Identity and Founding Tenets is what differentiates the School from others. "Our sons John and David, and now our grandchildren Tennie '24 and Jack '27, have been the beneficiaries of the outstanding education provided by ESD," said Linda and John McFarland. "Seeing them thrive as a result was our inspiration for giving." ESD was founded upon and remains ever true to four Founding Tenets: Daily Worship, Community, Ethical Decision Making, and Service. These tenets align with the best practice principles and ideals set forth by the National Association of Episcopal Schools (NAES): School Worship, Community Life, Religious Formation and Study, and Social Justice. ESD fully concurs with NAES which believes that integrating these principles into all facets of school life will ensure a "foundation of a Christian love that guides and challenges all who attend our schools to build lives of genuine meaning, purpose, and service in the world they will inherit." The McFarlands continued, "Our hope is that ESD continues to provide a strong, faith-based environment for learning. And that its graduates are successful and honorable participants in their community for years to come."